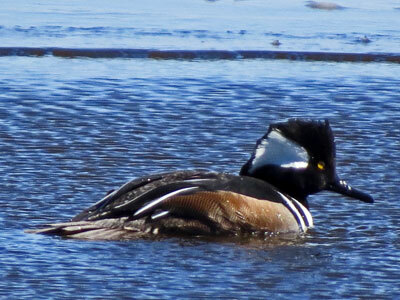 The hooded merganser is one of the most beautiful ducks that visit the Chesapeake Bay. 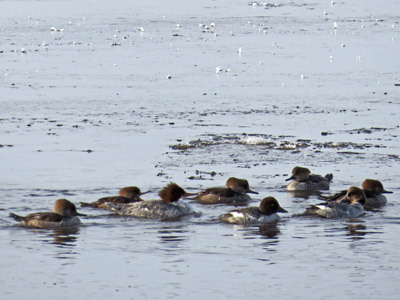 Like other mergansers, this species has a serrated bill for catching fish. Males are recognized by their bright white hood, yellow eyes, and chestnut colored flanks. Hooded merganser females can be identified by their brown heads and backs, and uniquely-shaped head feathers. Hooded mergansers are often found together with other mergansers, buffleheads, goldeneyes, surf scoters, long-tailed ducks, cormorants, grebes, and loons. 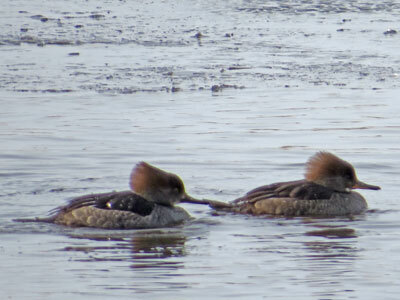 Hooded mergansers are classified as sea ducks.